Discussion in 'Wanted & Swaps' started by craige, Aug 19, 2017. This is the Pay It Forward thread for Trek Lite members to donate unloved kit on to others, to make this work some basic rules need to be in place. The concept is simple ..
1. Members must have a minimum of 50 posts to take part. 2. Member offering the item pays for the postage, unless other arrangements agreed. Because the forum is UK based, international claimants will have to discuss any extra postage when claiming items and be willing to pay the extra costs to post items. 5. Claimants must reply in the thread with an "I'll take it" to claim the item. PM's or voicing interest are not to be considered claims. I've decided to start off with 1 active item and see how it goes. I'll try to keep the active items and their status updated at the bottom of this thread in order to save people hunting for the posts with available items in them and hopefully prevent double claims and cunfusion. Lastly the rules will be reviewed and may change slightly as and when required, but the concept will remain the same. Bopdude, Chiseller, Padstowe and 5 others like this. I'll take the Mule Tape please. craige and Graham like this. I'll get it out to you tomorrow mate if you message me an address. Offering: 3m of Tyvek homewrap. More is negotiable. I will have a rummage in my cordage box for something suitable. In fact, I might have something a bit more exciting, check back around 8pm. OK, I'm offering a hammock. 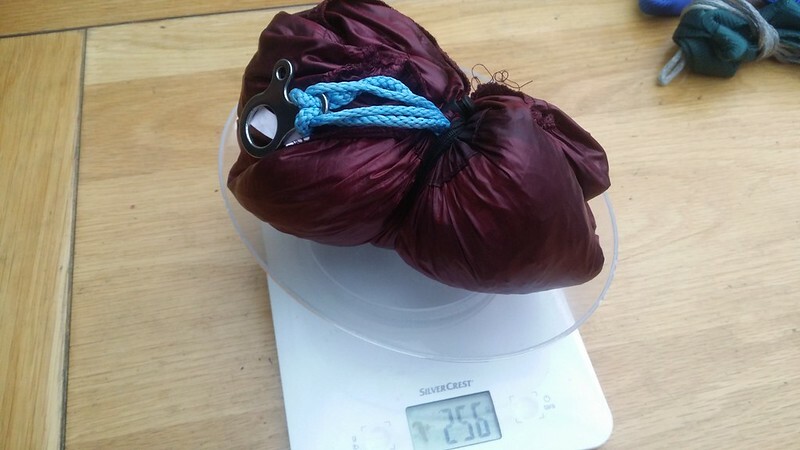 DIY single layer 11' by 58" gathered end hammock in olive yellow 1.1oz/yd ripstop polyester. Rated at 175lb (80kg), so a bit too lightweight for me! I'll throw in a couple of tree straps too. Meadows, Teepee, Diddi and 4 others like this. Balagan and Chiseller like this. I'm initially offering a Brazil Tarp hat. Warm weather variant with mesh sides. Only worn a couple of times. Size L 23 1/4 - 23 1/2" swede. I've back up if this doesn't go by a reasonable time? New offer.... 2 cam's or mechanical friends... I use these for hanging my hammock between rocks or one rock to a with straps... Great if there's a cave to hang in or a building with masonry. Aww, sod it.... I'll take the cams! I was holding off, thought it might seem a bit incestuous, but what the hell. I will go and have a rummage, see what I can dredge up. Chiseller and Diddi like this. a great, rigid rope made with a Dyneema core and a Dacron outer sheath with a reflective tracer. 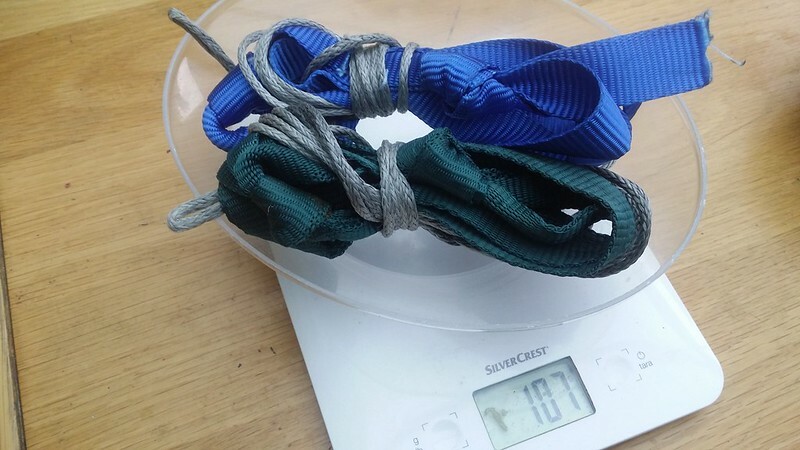 This rope acts like wire does and can hold its shape and because of the rigidness of the rope it is easy to loosen knots and it does not tangle easily. Holds well in Pitcharpak's Cordlock10's, but not at all in Lineloc3's! Right, I'm pulling the Dutch wire. Gonna offer something else up. When I get home, I will have another look in the box. Stl waiting on Roger's Tyvek, but I think he's still in France? The cams arrived today, thanks Chis. I seemed to have stalled things! Let me see if I can find something not hammock-related to contribute. 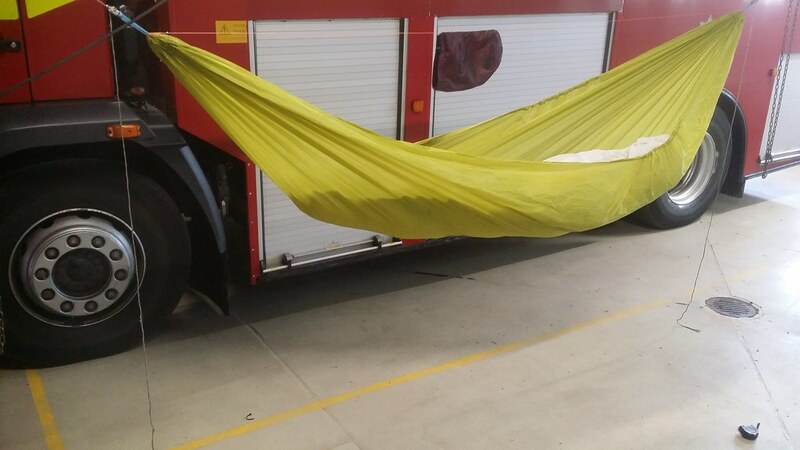 LineLocs and guyline cord are hardly hammock stuff ! And, surely, isn't it me who's supposed to be paying it forward here? Or are you offering me a get out of jail free card? Is that in the rules? 2x 700m spools of Gutermann Mara 70 thread in black. So, now it's either, guyline cord, LineLocs, or Mara 70 thread. 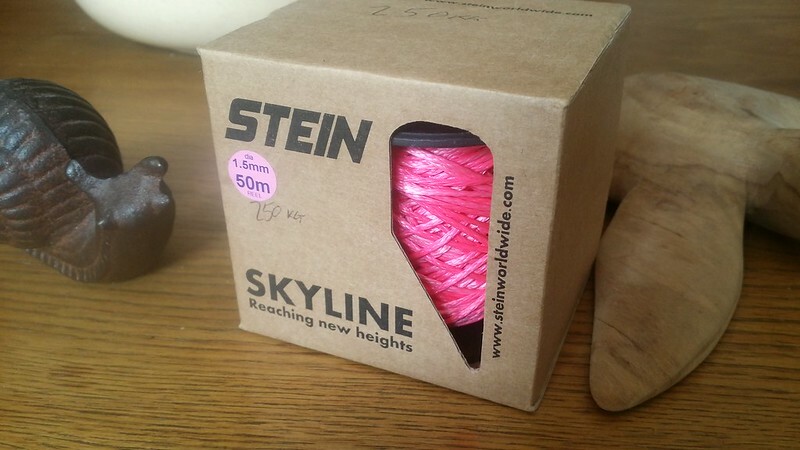 I meant to say that I may take the Skyline off your hands but first I have to find something to contribute to the PIF as a follow up and all my possibly redundant stuff is in a shipping container that will be delivered next week as I have just moved back to France. If, in the meantime, someone else goes for one of the three items you are currently offering then great. Hello all, I'm assuming it's OK to introduce two new active items mid-thread, hope it doesn't derail earlier offers.